I think all of us are suckers for wood in one form or another. Who can resist such a gorgeous material? Add to that it’s strength and suppleness, and there’s no wonder we’re still building houses with it. Along with chairs and tables. And cutting boards. 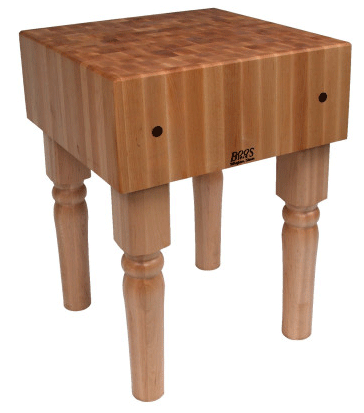 This butcher-block style maple board is a true classic. And because of the vertical orientation of the end-grain wood fibers, it’s uber-gentle on your knife blades. In my kitchen I enjoy the look of our maple boards against our black granite countertops as much as I enjoy the feel of chopping on them. And I enjoy the texture of the grain and the heft and weight of the wood just as much as I do knowing my knives are properly protected by the natural give and take of the wood fibers. That’s what makes wood so useful. Beauty meets functionality. Although I don’t own a Boos cutting board yet, they’re definitely on my “to buy” list. It’s not just that they’re attractive, but that I empathize with the company’s respect for workmanship. This is a quality it seems the world of modern manufacturing has been lacking of late. Which makes me sad. And makes me grateful for companies I stumble across that still respect the old ways. 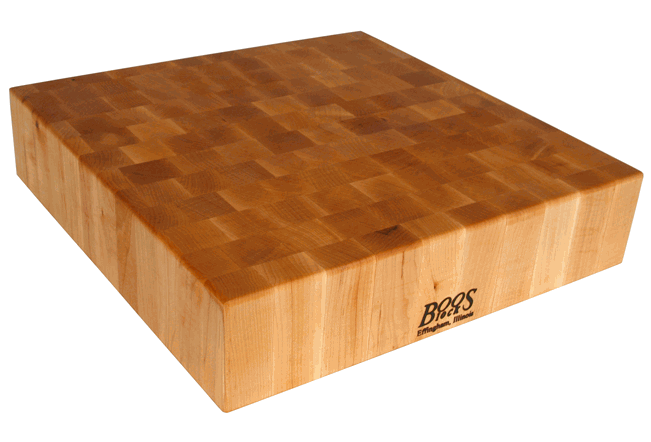 Take a gander at Boos’ range of products—from classic home cutting boards to professional-style chopping blocks. They cover the gamut. They’ve gone quite beyond regular butcher blocks into major kitchen furnishings. . .
P.S. 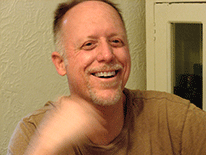 If you’re curious to read more about Boos, here’s a website link: http://www.johnboos.com/. Hi. Curious. . .I collect and work on knives, have Wustofs, Henckels, Shuns, etc. Trying to get a Kramer or Miyabi stainless to try out. Any recommendations? Notice on eBay there are lots of damaged Shuns with chipped blade edges and broken points; don`t see any Shuns [???} or Miyabis that are damaged. Hmmmmm. . .what Kramer or Miyabi knife I would recommend? That’s kind of a big question that I don’t think I can thoroughly answer here, especially not knowing anything about what kind of knife you’re looking for and what kind of cook you are. Are you looking for a knife that’s super-sharp and with hard steel? Or do want a knife you don’t have to worry about so much? How important are looks to you? How hard are you going to use it? Those would be some of my questions. . .
Not knowing much, I would probably say, start with the original Kramer—the one that was designed to mimic his custom knives that’s made of carbon steel. It’s a powerhouse; here’s a post I’ve written on it: Bob Kramer Knives — Why Spend $300 on a Chef Knife? I like Miyabi and I think they fly too low under everybody’s radar. I’ve done a lot of research for an article on them, but have not had time to finish it. The Birchwood has been on my buy list for ages because it’s such a perfect blend of beauty and sharpitude. 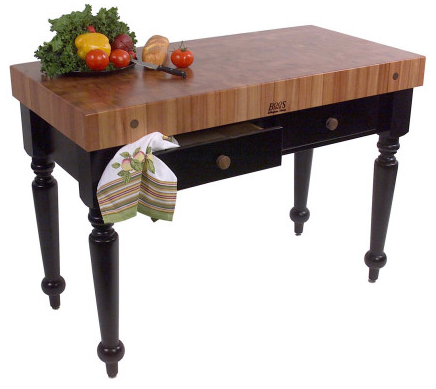 But the new Evolution line put out by Sur La Table also looks compelling at a lower price point. And there are others. In general, I think Miyabi make terrific knives, but you do have to treat them with care because of the harder steel. That’s all for now. If you have any more specific questions, please feel free to let me know.